This endearing collection of abstract rugs re-create the beauty of an original artwork, with countless blended colours composed of wool and silk yarns cut to varying pile heights. Subtle colour movement gives these rugs a soft appearance that brings a sense of tranquility. This collection of statement rugs encompasses a range of rug styles including abstract, patterned and pictorial rug designs. They are created entirely by hand using traditional techniques so are top quality pieces. All are full of character and would make a perfect focal point for a room. All of the rugs from this innovative collection started life as typical traditional rugs, either vintage Persian or Anatolian pieces. They have undergone a series of treatments to give them a more distressed appearance. Some are left in faded state whilst others are re-dyed or even cut into pieces and recomposed as patchworks. These bright, cheerful rugs are created using a hand knotting technique that gives them no pile but an interesting woven texture. They are available in a wide range of designs and colours sure to bring a fresh feel to any room. Kandy Kelims can be made to order in any size with a short lead time and attractive price point. 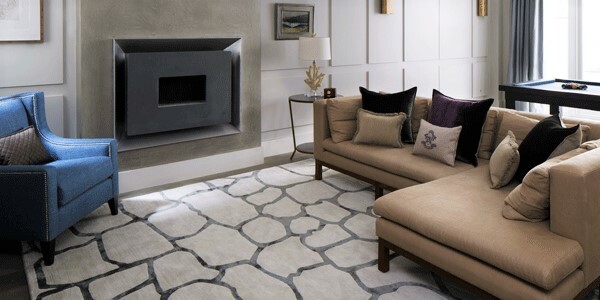 Need more help finding your perfect designer rug? Try reading our Rug Guide for expert guidance to rug design and colour for you room. Alternatively, contact our showroom and we will be delighted to answer your questions.